Cette lutte, c’est une lutte légitime! This struggle is a just struggle! 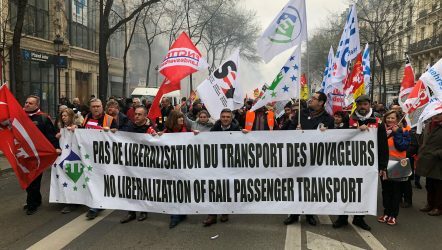 With those words, ETF Rail President, Giorgio Tuti brought the solidarity of European trade unions to French railway workers protesting on 22 March – just days before the launch of rolling strike action against President Macron’s liberalising reforms and unjust changes in working conditions. 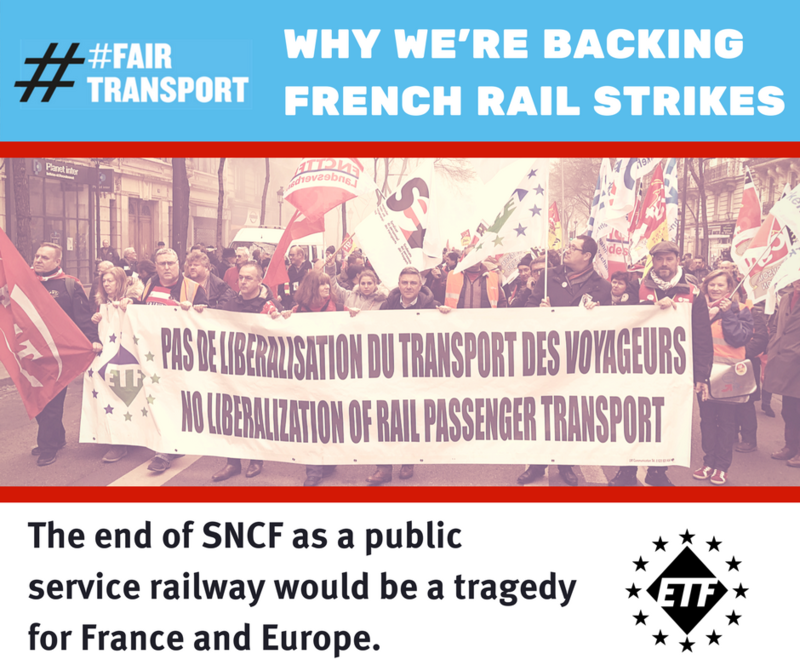 As the strikes continued, ETF issued a further statement backing French unions’ struggle against the reforms. The statement stressed that “similar reforms in other countries have not improved service or value-for-money. European Commission research shows that passengers in Germany and the UK, which have more liberalised rail markets than France, pay consistently more per kilometer than French passengers. The Fair Transport campaign is all about transport workers across Europe standing together to defend decent work and quality service in the transport sector. Ideological liberalisation and unfair competition cannot go unopposed. French railway workers can be sure that allies across Europe are beside them in their struggle.